Glen Grant- I find it fascinating that Ulysses S. was at West Point when his relative Glen founded this fine distillery in the Speyside region ( a bit of pseudo history ) . Even whisky rookies know the attributes from this slightly dysfunctional family , many of the famous regular single malts hail from the area surrounding the river Spey and for good reason. 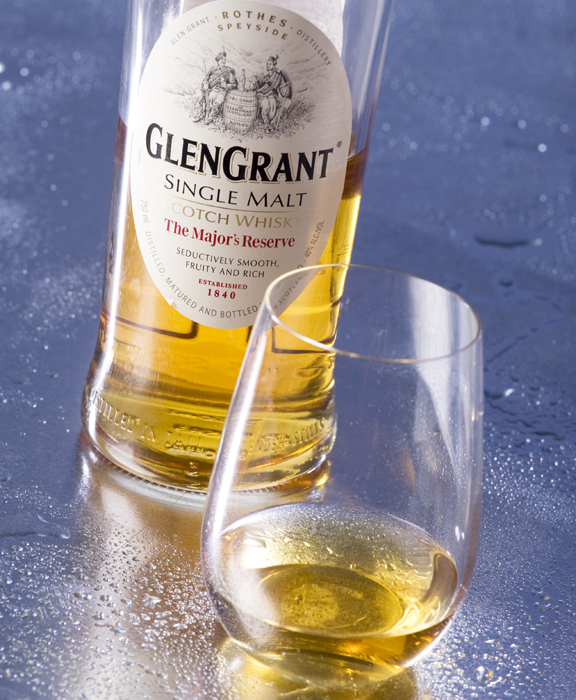 This amber dram has grassy notes as though a meadow was introduced to the process along with the grain. I found an initial harshness in the nose and sweet aromatic caramel in the first taste. Linger a bit however and the alcohol seems to mellow out . Given the summer season is upon us, ” GG ” might lend itself to a cube or two , or even a splash of soda. I suggest sunset might be the ideal time of day for consumption, the golden color in your glass will enhance the visual experience. Rated a 6.5 , drinkable but unremarkable and endorsed by the General posthumously . Cheers to summer ! Brenne…Sacré Bleu mon ami…One of the Snob’s favorite whisky bloggers has launched her own single malt! Kudos to the Whisky Woman for this world class achievement in the distilling arena. This lovely and well balenced French Single Malt is aged in Cognac barrels which infuses the malt with a delightful sweetness, adding to the complexity. I detected equal parts of subtle fruit and grain initially and the finish was lingering and just a bit spicy. Finding this malted tour de force will take some patience as distribution progresses but this link will allow you to purchase a bottle from your favorite chair. I suggest this might be the perfect after dinner whisky for those in the know. Vive la différence ! Holiday rated 8.5 on the snob scale and a must try !